A cover sheet is attached to each fax you send through AT&T Office@Hand. 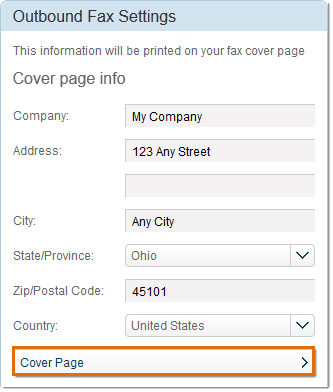 This article will guide you on how to choose your fax cover sheet template design. Log in to your AT&T Office@Hand online account. For instructions, click here. 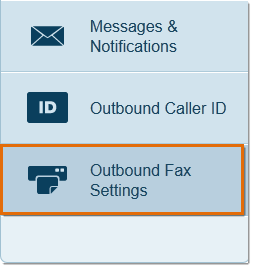 Click My Outbound Fax Settings. Preview available cover pages and select the cover page you want from the drop-down menu. 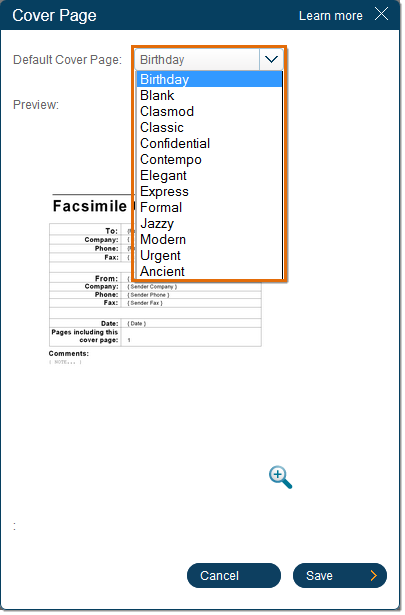 The variable information on the cover page will be filled in during the fax-sending process. You have now chosen your fax cover sheet template design.